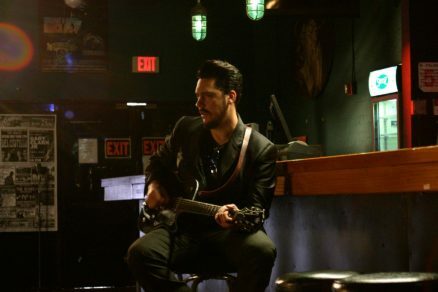 Jesse Dayton has been building a cult following around the globe playing festivals in North America and Europe for years with his guitar shredding, country-infused, Americana sound. As a critic’s darling for his first record on Justice Records, Raisin’ Cain (1995), and a number one Americana radio ranking, Jesse was hired at a young age to play lead guitar on some of the last recordings, and play live, by country legends Waylon Jennings, Ray Price, Johnny Bush, Willie Nelson & Glen Campbell and he’s been featured in many guitar magazines. Sensing a shift in the music business climate, Jesse formed his own label in 2002, Stag Records, and began his most prolific recording period. While recording five solo records, one duet record, one live record, all on Stag, as well as two soundtrack recordings (Devil’s Rejects, Halloween 2) for rocker/director Rob Zombie, Jesse managed to act in movies and music videos, produce several records for other artists (the latest being Supersuckers front man Eddie Spaghetti’s “The Value Of Nothing” on Bloodshot Records), write two screenplays, and most recently wrote and directed a new horror movie, “Zombex,” starring Malcolm McDowell, Sid Haig, John Doe, and Lew Temple (“Walking Dead). All while still performing 150 shows per year.